A team must work together to achieve goals. We know getting teens working together can be difficult, especially if they can't identify with one another. Our speakers have experience in breaking barriers and insecurities making working together a pleasant and effective life tool. Benjamin Glossop, "BENNY", is a professional MMA fighter and kickboxer, a television host, and a motivational speaker. He is the owner of PURSUIT of FITNESS and the Head Coach of Brazilian Jiu-Jitsu, Muay Thai, and MMA at UFC GYM Clearwater. He is also a former firefighter of 7 years. Benny enjoys the opportunity to speak with audiences, especially youths, about overcoming odds, belief in one’s self, and confidence building. The survivor of a tragic accident at the age of 10, Benny shares his story about growing up believing that anything is possible even when others tell you, “You Can’t”. Benny was raised in a small, tight-knit, farming community in Central Illinois. After high school he attended Northern Illinois University where he was a two sport athlete and earned his degree in Public / Interpersonal Communications. GO HUSKIES! While at NIU, Benny was involved in several University programs and campus clubs. He was a member of the Men’s Volleyball team and the University’s official club Taekwondo team. He was not only an athlete / fighter for NIU Taekwondo, he was also the Head Instructor of the University’s Taekwondo P.E. program. With nearly 25 years of martial arts experience Benny has had the opportunity to train with some of the best athletes in the world and to compete internationally. Through Brazilian Jiu-Jitsu, Muay Thai, Olympic Taekwondo, and Mixed Martial Arts he has not only trained and competed but he’s made a successful career of coaching and teaching. MMA: fought for the Troops at the first ever Pro MMA event at Camp Lejeune, U.S. Marines. Along with martial arts, Benny is also one of Tampa Bay's most sought after Elite Fitness Trainers & Kettlebell Coaches. He is a certified CF Kettlebell Coach, a certified Personal Trainer and a certified Strength & Conditioning Trainer (AMF). Benny is the founder of KettleSport Cross-Training and his client list includes professional athletes from Mixed Martial Arts, Major League Baseball, Professional Soccer, and Olympians. Benny is a television host, personality, and spokesperson. He is the host of XPTV Sports and specializes in Combat Sports & Extreme Sports hosting and commentary. With close to 250 TV credits to date Benny has hosted shows for Mixed Martial Arts, Professional Arm Wrestling, Powerlifting, Collegiate National Powerlifting, Extreme Motorcycle Riding, and Mud Wars. His works and appearances list includes MTV, Fox Sports Net, HD NET, The Fight Network, MAV TV, SportSouth TV, Roku, Tru TV, and more. Along with these markets his work has spanned globally and he is seen daily in the European, South African, and Asian television markets. Other works include voice overs, Pay Per Views, commercials, radio, and DVD recordings. In 2012 he was a nominee for BEST TV COMMENTATOR at the Florida MMA Awards. With a wide variety of works and experiences, Benny, is never afraid to take on a new challenge and is never afraid to fail. Failure is part of the learning process and no great success story ever came without a struggle. That said, anything is possible when you believe in yourself and you wholeheartedly chase your dreams with a strong work ethic and a desire to win / succeed. He reminds you that ‘it’s up to you’. Nobody decides for you what you can or cannot do... so attack each day with a motivation to be 1% better than you were yesterday. Embrace the differences in the people around you, respect what others have to offer, and never give up on your dreams!!! Believe in the power of YOU! ROB ZARRILLI, a man of passion and integrity, is more than just a motivational speaker. While his entertaining, inspiring, content-driven lectures bring classrooms and audiences to their feet, it’s Rob’s caring personality and personal guidance that garners him the endearing title of friend and mentor. Whether it’s speaking, educating and entertaining large audiences at company functions or guiding and directing a struggling business back to life with a strategic plan and purpose, Rob’s message is consistent with the values that have made him a loving father, husband and friend. Be accountable Be honest Be humble. A graduate of St. John’s University, Zarrilli has numerous sales achievements and honors to his credit including the prestigious Distinguished Service Award, the highest honor bestowed upon a single individual by the advertising industry for his work as founder and architect of The Leadership Institute, the pre-eminent University style training program for sales, leadership and personal growth and development. The programs offered By Rob and his team consist of wide variety of training programs and topics available in person and online. Whether it’s a corporation looking for training and direction or individuals with a thirst to win and succeed, the impact and success has been overwhelming. Zarrilli started his publishing career in New York. After two successful entrepreneurial stints, he relocated to Florida. In 1992, he joined The Flyer Magazine in Tampa as Vice President of Sales and successfully expanded The Flyer’s sales organization to over 400,000 in circulation. Later he was asked to head up their corporate training program helping the Flyer more than double in size in the Tampa Bay area. After the sale of the flyer to Harte-Hanks in 2005 Rob joined Mailbox Publishing as its president, expanding their distribution and sales dramatically in less than one year. Kim Trotto has been a teacher for 20 years, working with middle school students for 16 years and emphasis with gifted students for 12 years. She is proud to have led her video journalism students to numerous Educational Media Awards. Kim created a program where older students encourage younger students that won a National Character Promising Practice award. She was awarded with the Excel Award for Excellence in Teaching and was an Outstanding Educator of the Year Nominee. Kim’s main intention is to create things that help others; consequently she founded Soul Blissed Circle, LLC, an inspirational website, media and lifestyle brand. She has trained with Gabrielle Bernstein focusing on teaching people how to fully understand that they are deeply supported at all times. Kim regularly presents at Retrouvaille with her husband, Mike. Kim designed Mirror Motivators™, a product aimed to inspire both kids and adults and is the creator of The Global Healing System™. She encourages many through her inspirational videos and meditations. Matter Beautifully and Feel Your Undeniable Worth, are two of the pillars of Kim’s philosophy and message. Kim is a graduate of the University of Florida and enjoys watching a wild amount of football with her family. Go Gators! Dr. Sheri B. Predmore is a Florida Native that has spent her life’s work educating students with and without disabilities and leading educators through the modeling of effective teaching practices. She has impacted students and educators at the local, state, and national levels over the course of 24 years. Her teaching and leadership career includes the pinnacles of “Palm Beach County Teacher of the Year”, to National Board for Professional Teaching Standards Florida state coordinator and co-author of the National Board Standards for Exceptional Student Education. Dr. Predmore’s education vitae includes; H.B Plant high school, Indian River Community College, University of Tampa, University of South Florida, and Nova Southeastern University where she attained her doctorate of education in Organization and Administration and Special Education. She attained her National Boards and applied her knowledge to mentor and lead educators. She has spoken to both students and educators at Florida Future Educators, teachers at the National Board Conventions in Washington, D.C., Council for Exceptional Children Florida Conference, and more. She is known for her expertise to develop and implement programs for specific goals with both small and large groups of students and professionals. Dr. Predmore was an All American Swimmer at the University of Tampa and uses the combination of athletic experience, formal education, and professional teaching experience as the drive and determination for student’s to identify and reach their personal and educational goals. Dr. Predmore currently resides with her husband, Kurt Predmore, High School Science Teacher and USA Southeast Zone Water Polo Coach/Chair, and three children/young adults, Connor, 20 (at Florida State University), Tristan 18, and Sonia 8. 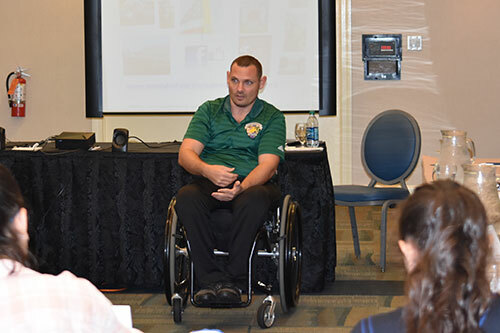 The Wounded Warriors Abilities Ranch and Park was founded in 2013 by Wounded Warrior Mike Delancey, a Pinellas Park resident who himself was critically injured in a sniper ​attack during military combat in Iraq and has confronted his own life changing injuries. Please visit WWW.WOUNDEDWARRIORSABILITIESRANCH.ORG for more information. 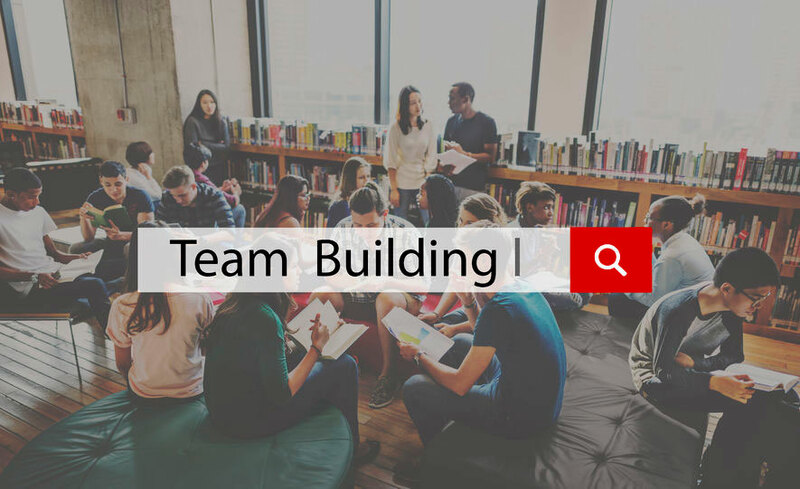 There is no 'I' in a team. A team must work together to achieve goals. We know getting teens working together can be difficult, especially if they can't identify with one another. Our speakers have experience in breaking barriers and insecurities making working together a pleasant experience while teaching a valuable life skill.